Savvy Spending: Qdoba Mexican Grill: B1G1 Free on Valentine's Day! 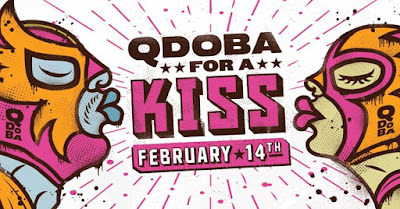 Qdoba Mexican Grill: B1G1 Free on Valentine's Day! Yum! 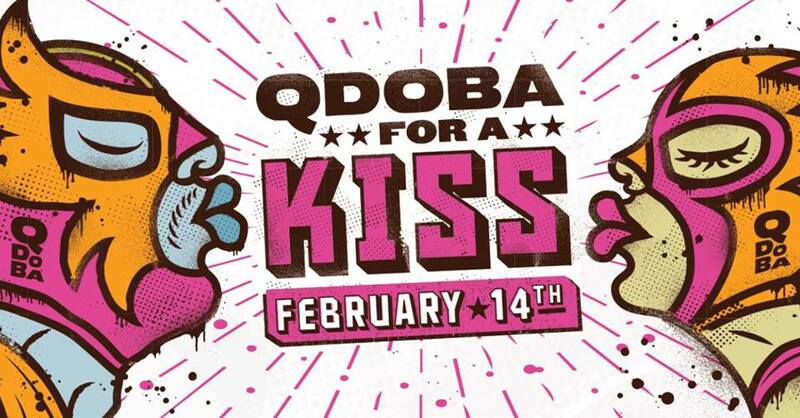 On Valentine's day, 2/14, Qdoba Mexican Grill will offer Buy One Entree, Get One Entree Free! Just purchase an entree, mention this offer and kiss someone (or something) at the register to receive a second entrée of equal or lesser value for free – one per customer and per visit!